I'm on Paragraph Planet today with 75 words inspired by this beautiful portrait. Are you ever drawn to certain paintings when walking around an art gallery? This happened to me a few weeks ago when I went to the National Portrait Gallery. 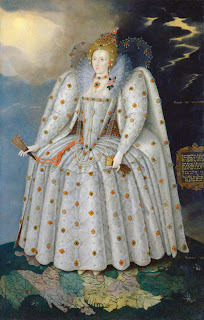 I looked up at Queen Elizabeth I for a while and the image stayed with me afterwards. When searching on The National Portrait Gallery's website, I found a photograph of the painting and decided to submit 75 words on it to Paragraph Planet. Thanks to Richard Hearn for including this story on his website. According to The National Portrait Gallery's website, the theme of the portrait is forgiveness. There is more information about this here. On 16th September there was a competition during the Brighton Digital Festival: #flflive-a story in a tweet including the word 'now'. I was thrilled to be shortlisted and my story is here under @neetswriter. The story was inspired by selling a couple of items on ebay. I made £10.50 and lost money on postage so won't be doing that again for a while...! My blog is a year old today-can't believe where the time has gone. 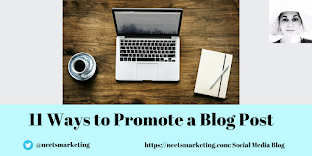 I've really enjoyed being a 'blogger' over the past year and I'm so grateful for the support of my followers/friends on Google Friend Connect, Networked Blogs, Twitter and Facebook. Thank you for reading my posts and for your comments. I spoke to a lovely lady at The National Portrait Gallery to check I'm allowed to use the photograph of the portrait on my blog (there is also information on their website). I've downloaded the photograph under the Creative Commons license (use in non-commercial, amateur projects) and have made a donation of £5 to The National Portrait Gallery (a birthday present to my blog). The lady advised me to use the Copyright symbol followed by the words I've used next to it above. Thank you to the National Portrait Gallery for allowing me to use the photo of this wonderful painting. Anita, congratulations on the 1 year anniversary of your blog. I'm glad that you explained how you were able to use the photograph from the portrait gallery. Wow, it's congratulations all round then! I absolutely LOVE that portrait of Elizabeth I. Thanks Stacey! I love the portrait too, so glad I could include the photo of it on my blog. When I saw it, couldn't tear myself away. Thanks Kelly! I might make my blog a cake. Congratulations on your achievements, Anita! It's great that there are Creative Commons licenses, isn't it. Copyright is so important but really complicated sometimes. I'm glad you were able to use the picture and it's lovely that it was the inspiration for your PP paragraph which I enjoyed very much. Congratulations on your blog anniversary, your paragraph in Paragraph Planet (which I read yesterday and loved) and being shortlisted in the Brighton Digital Festival comp. Happy blog birthday and congratulations on your great winning paragraph. I too have become more careful about using photos on my blog after reading somewhere that a blogger was sued for using a copyrighted photo. Scarey stuff! Good luck with all your writing. Hi Cara, thank you! Good luck with your writing too. How do you get back into writing?